Hoge Wei 28, 2011 Zaventem,Belgium. 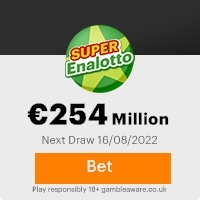 Euro Millions are Affiliate of Belgium National Lottery (BNL). CONGRATULATIONS: YOU WON 2,000,000.00 EUROS. in the 2nd Category of the Sweepstake. program is sponsored by CFI to compensate faithful internet suffers around the globe. With your permission, your e-mail will also be included in the next sweepstake of 10 Million Euros. EU House 1003HN Den Haag, Netherlands. Helen Ann (Ms.) CPA. Coordinator: EURO MILLIONS. Open Mon - Sat 8am-8pm. Previous: BE NOTIFIED !! !Fresh ScamsNext: BE INFORMED !!! This Email with the Subject "BE INFORMED THAT" was received in one of Scamdex's honeypot email accounts on Wed, 15 Nov 2006 05:40:47 -0800 and has been classified as a Generic Scam Email. The sender shows as HELEN ANN <helenann@yahoo.com>, although that address was probably spoofed. We recommend that you do not attempt to contact any persons or organizations referenced in this email, as you may expose yourself to scammers and, at the very least, you will be added to their email address lists for spam purposes.